Before booking your pool party, please check with your HOA regarding rules concerning pool parties in your neighborhood. Parties with fewer than 10 guests MAY not require additional lifeguards. This will depend on your HOA rules. Customer agrees to provide one (1) adult chaperone for every fifteen (15) people under the age of 18 years old. Pool parties must be booked at least one week in advance. Parties booked less than one week in advance will be charged a “RUSH FEE” of $25 to offset the costs related to last minute scheduling. There is a two (2) hour minimum for all parties. Pool party hours must follow normal pool hours unless special arrangements have been made through your HOA. AMS Pools only provides lifeguards for parties. Arrangements for use of the clubhouse or pavalion for your party must be made through your HOA. Lifeguards will call safety breaks during the party at the normally scheduled time set forth by the pool rules. The customer may be charged a $20 clean up fee if the pool and surrounding area is not cleaned up and is left in poor condition. Recommended guard per guest ratio in addition to the on-duty guard. 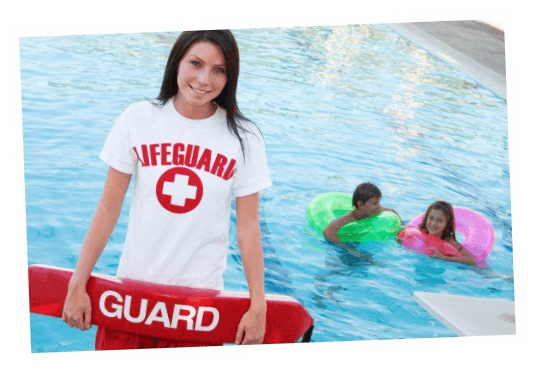 The hourly rate to hire a lifeguard is $20.00 per lifeguard. 1. Credit Card – online through our website. 2. Check – mailed directly to our office and received at least 5 business days before the party. AMS Pools accepts all major credit cards including American Express, VISA, Mastercard & Discover. you can pay using our online store or make arrangements to come by the office and pay in person. Our office is open to the public from 9:00am-5:00pm, Monday-Friday. If you would like to stop by the office to make a payment, please call the office to make arrangements. The office phone number is 770-932-6389. In the event of inclement weather, a minimum of two (2) hours-notice prior to the party start time is required to cancel. This gives us enough time to contact the guard(s) that are scheduled to work at your party. To cancel, please call either Brandon Hicks at 678-822-3698 (Gwinnett/Hall) or Robert Boddy at 678-822-3043 (N Fulton/Forsyth). If the party is cancelled within the required time, the party can be either rescheduled for a later date and the payment applied or we can issue a full refund. No refunds will be issued if the party is cancelled less than two (2) hours prior to the party start time.